S'il te plait quelle taille de serviettes utilises-tu ? Une taille standard comme 13×13 inches ? Love this idea. Thanks for sharing your talents. Que tipo de papel se necesita…. These are made from cocktail napkins but you can use tissue paper of any kind. Wow! This would be SOOOO gorgeous at a wedding! Also it must have taken you FOREVER! That means you really like us. 🙂 Thanks for sharing! Why yes I do really like you! haha. It was actually one of those projects I did at night in front of the TV. At least for making all the flowers. Oh!! que bonic, quedaria molt bé per una celebració com una boda o alguna cosa així no? sembla fàcil ho he de provar algun dia quan pugui. 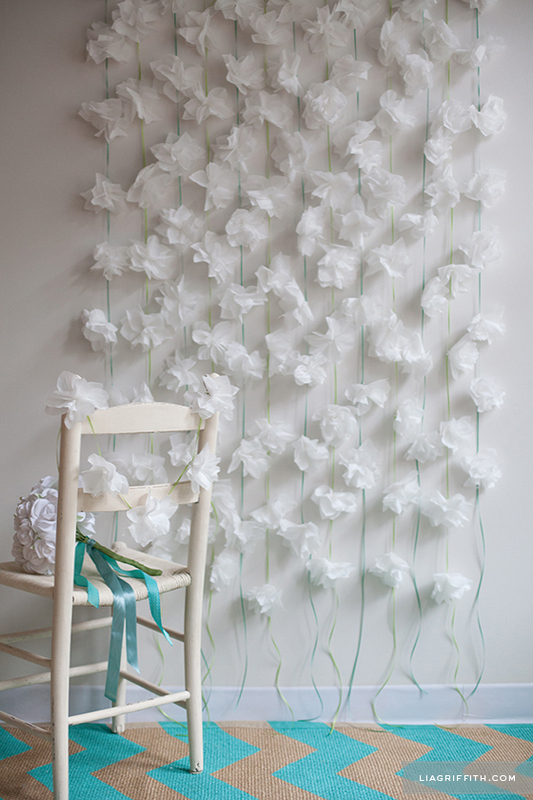 I love this ‘curtain’ of flowers… so beautiful. I’ve just come across something called Iris paper folding… are you familiar with that Lia? Thanks Sandy. I have seen this type of folding but didn’t know the name. Gorgeous. LOOOOOVE! So easy, the tutorial is fabulous! Thank you for sharing! 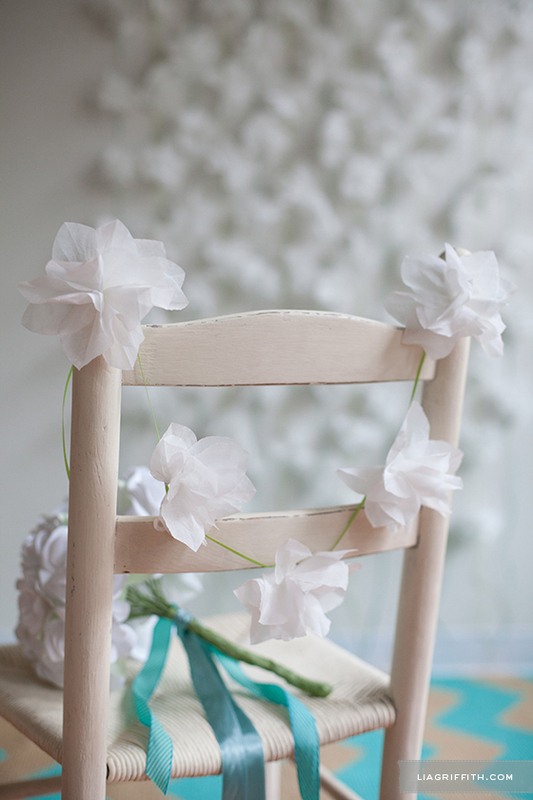 I love how simple and fresh looking this garland is! So pretty.